Congratulations to Dr. Arbindra Rimal! His work is being featured in the university’s 2017 edition of Mind’s Eye. Dr. Arbindra Rimal would probably still be an accountant or banker today if not for his memorable encounters with farmers back in his native Nepal while working at a rural development bank in the 1980s. Their work and stories intrigued him, ignited his passion for agriculture and led him to study agricultural economics in the United States, which changed the course of his career. 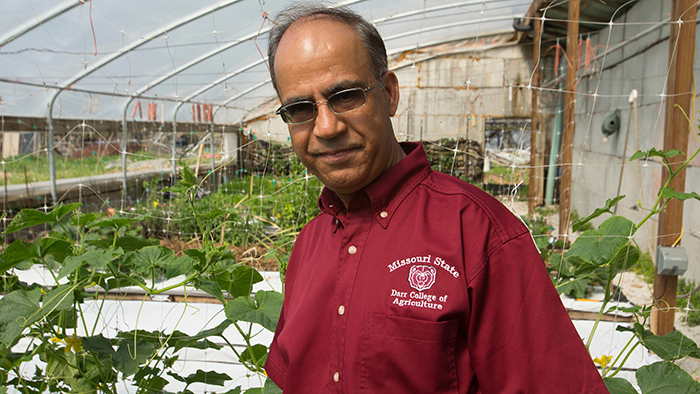 “Agriculture brought me to real people and their problems,” said Rimal, a professor of agriculture and interim department head of agribusiness, education and communication in the Darr College of Agriculture at Missouri State University. Discover how Rimal’s research is helping to promote local agriculture in Missouri in the video below.